Select.Pdf Library for .NET – 2016 Vol 1 has just been released. Together with the full featured pdf library, the community edition of our SelectPdf Html To Pdf Converter for .NET v2.0 was also released. 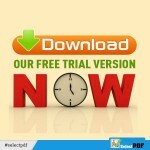 This entry was posted in HTML to PDF Converter, PDF LIBRARY for .NET, HTML to PDF Library, Press Release, Releases HTML to PDF, Pdf Library for .NET and tagged download free trial, download selectpdf, new release on January 27, 2016 by selectpdf. Though Perl is not officially an acronym, there are various backronyms in use, the most well-known being “Practical Extraction and Reporting Language”. Perl was originally developed by Larry Wall in 1987 as a general-purpose Unix scripting language to make report processing easier. Since then, it has undergone many changes and revisions. Perl 6, which began as a redesign of Perl 5 in 2000, eventually evolved into a separate language. Both languages continue to be developed independently by different development teams and liberally borrow ideas from one another. 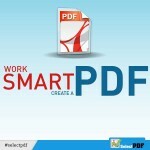 In this post, SelectPdf team has put together a few Perl samples for our Html To Pdf API to make your life a little easier if you need to convert from web pages to pdf in your Perl applications. This entry was posted in Html To Pdf REST API and tagged html to pdf as service, html to pdf converter, html to pdf for the cloud, html to pdf rest api, perl samples, Sample Code on November 20, 2015 by selectpdf. 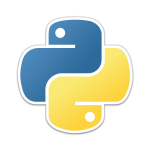 In this post, SelectPdf team has put together a few Python samples for our Html To Pdf API to make your life a little easier if you need to convert from web pages to pdf in your Python applications. This entry was posted in Html To Pdf REST API and tagged html to pdf as service, html to pdf for the cloud, html to pdf rest api, python samples, rest api, Sample Code on November 16, 2015 by selectpdf. Ruby is a dynamic, open source programming language with a focus on simplicity and productivity. It has an elegant syntax that is natural to read and easy to write. 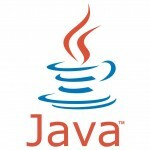 Since its public release in 1995, Ruby has drawn devoted coders worldwide. In 2006, Ruby achieved mass acceptance. Ruby is also completely free. Not only free of charge, but also free to use, copy, modify, and distribute. Because of its popularity, we are sure that a lot of you write your code in Ruby, so SelectPdf team decided to put together a few samples for our Html To Pdf API to make your life a little easier if you need to convert from web pages to pdf in your Ruby applications. This entry was posted in Html To Pdf REST API and tagged html to pdf as service, html to pdf for the cloud, html to pdf rest api, rest api, ruby samples on November 13, 2015 by selectpdf.